GEM is a modern Esoteric Work School that is based on the natural human potential for awakening to freedom, aside from the limits of any tradition. As a non-dogmatic, non-sectarian spiritual school, GEM has made valuable teachings available in an open-system format since the early 1970s. These teachings include esoteric work and principles found at the Heart of the spiritual traditions of humanity, and builds upon them to produce easily accessible, modern formats. Lar Short has authored a number of books and magazine articles. 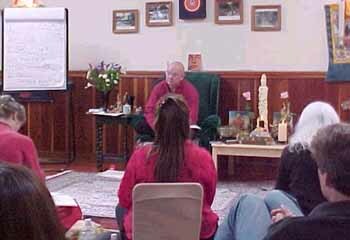 Lar created many trainings and retreats, and was the first Spiritual Teacher to offer teachings in an Accelerated Learning format. One of the most popular of these trainings, Opening the Heart of Compassion gave rise to a book by the same name, which he co-authored with his student Martin Lowenthal. He has also co-authored Body of Light with John Mann, which has been translated into 6 languages. Other books by Lar Short include The Way of Radiance in 1986, revised edition 2017, Dying To Go Beyond in 1987 (revised edition coming soon), and Commuter Yoga in 1975. He is an innovator in the area of accelerated learning, a former member of Avanta Network, Menninger Institute, Society of Accelerated Learning Techniques, a Touch for Health Instructor, and a Master Postural Integrator. He was a pioneering influence in the Natural Childbirth and Natural Death Care movements. 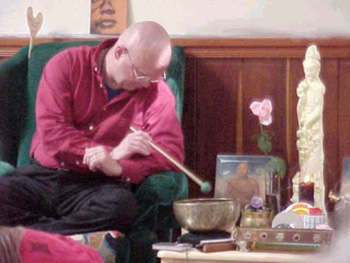 He is the first to apply accelerated learning techniques to the learning of holistic health practices, and to the learning of spiritual work. He created BodyMind Clearing (a system of Body Work and Trauma Release), and the holistic health training format Total Person Facilitation, a synthesis of Eastern and Western approaches, in 1976. He currently serves on the Board of Directors of Five Branches University of Oriental Medicine. Larry has over 48 years of formal practice and teaching experience in Eastern and Western Martial Arts, Energetic Yoga and Meditation Systems. He is fluent in both Eastern and Western forms of Internal Alchemy. In the years that followed, as more of his potential opened up, he seemed to be a magnet for esoteric knowledge and practices. He received excellent, result-producing instruction in centuries-old esoteric teachings from India, Tibet, China, Mongolia, Korea, and Japan. From foreign students to visiting masters of the different traditions, some sort of grace or kismet kept bringing Larry into close contact with various teachings that almost nobody, at that time, even knew existed. He was fortunate to have some of the most excellent Master Teachers of our time. “I had two extraordinary American Master Teachers: Yogacharya J. Oliver Black, a Kriya Yoga Master of Paramahansa Yogananda’s inner circle and Swami Rudrananda, a Kundalini Yoga Master from the Siddha Tradition, also known as Rudi.” These American Teachers deeply impressed upon Larry the universal nature of True Teachings. They trained him to identify the underlying power principles of any teaching; principles that could be used by anyone regardless of belief systems (B.S.) and dogma. Real Work produces results. Work is something you do, not something you believe in. Success is dependent on correct practice and has nothing to do with changing one’s culture or religion. From his American Gurus, he learned early in his training that coercion and consciousness do not co-exist, and that many teachers existed who were content to play political and dogmatic games with their students. Yogacharya J. Oliver Black told him that there “are far more “Ain’ts” than “Saints”, who amuse themselves with mesmerizing the sheep into worshipful followers, instead of producing results in them.” Rudi would often refer to these types of teachers as “vampires feeding off their students’ energy” while allowing themselves to be worshiped. According to Rudi, the first “Rule of the Game” was, “To not allow anyone, not even God, to lay trips on you”. Rudi also said, “Faith may be wonderful, but better than faith is result.” After Rudi’s death, Lar studied for 18 years with the great Tibetan Buddhist Master His Holiness Dilgo Khyentse, Rinpoche, known for His non-sectarian approach and mastery in all of the various Tibetan lineages. Through H. H. Khyentse, Rinpoche, Lar was also able to receive exceptional training from other remarkable Tibetan masters. During this time Lar met and exchanged teachings with teachers of many other traditions as well, including Kabalistic, Taoist, Nordic, Native American, South American, Hawaiian, & Western Magickal. These teachers seemed to recognize something special in Lar, and often approached him and shared and exchanged teachings very openly. Many of these teachers were impressed by the depth of understanding he had of the working principles of their teachings. He offered many of them assistance in the presentation of their teachings to their students. It was during this period of time that John Mann and Lar Short wrote The Body of Light. Larry is the father of 5 children spanning 30 years. He currently lives in Taos, New Mexico with the love of his life, his wife Paige. He has 5 grandchildren. He has stopped his previous “galloping guru” travels and general public teachings. He is primarily focusing on a core group of students and apprentices, and is also developing concentrated, high quality formats that he will offer to the interested public from time to time.